LG to release 48-inch OLED TVs later in 2019. LG recently announced plans to release a 48-inch OLED TV. The plan to expand its OLED line up to 48 inches was revealed at an OLED conference in Korea. LG’s manufacturing partners took to the stage to map out the future of OLED TV in today's teeming television market. LG spilled the beans on their latest OLED panel size alongside the mention of new form factors – LG Signature Series OLED R (LG’s rollable television range) – coming to the company’s OLED range. However, the South Korean tech giant hasn’t provided any confirmation of a release date for these new 48-inch OLEDs. Today, OLED panels are currently limited to a few sizes including 55-inch, 65-inch, and77-inch models; notwithstanding LG’s premium 88-inch 8K OLED. Size constraints have always been a major issue for consumers with the means to buy OLEDs but lack of space to house them. The prospects of a 48-inch OLED TV will come as excellent news for consumers. Additionally, Manufacturing OLEDs are considerably expensive compared to LCD-LED panels. Traditional LCD panels come in large variety of shapes and sizes, unlike OLEDs that are sized 55-inch and above. A smaller 48-inch OLED panel will not only offer consumers flexibility but might also bring down the price, which would make the innovative panel technology available to a broader audience. LG’s president of Mobile Communications and Home Entertainment, Brian Kwon, said, “LG continues to push the boundaries of TV technological innovation, as can clearly be seen from our premium TV line up for 2019”. 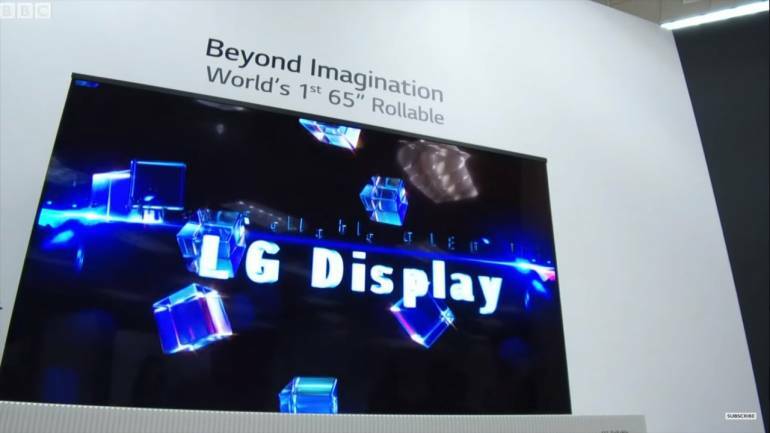 Consumers can also expect to see a commercial version of LG’s rollable TV sometime later in the year. A mid-year update will also introduce support for Apple AirPlay 2 and Homekit on select LG smart TV models. A firmware update will bring support for Amazon’s Alexa voice control, making LG the only TV brand to feature support for both Alexa and Google Assistant without the need of an extra speaker.